George Barney was born in 1814 at Sandy Hill, N.Y. In 1842 he moved to Milan, Ohio where he was in the mercantile business. In 1855 George and his wife Caroline moved to Sandusky. 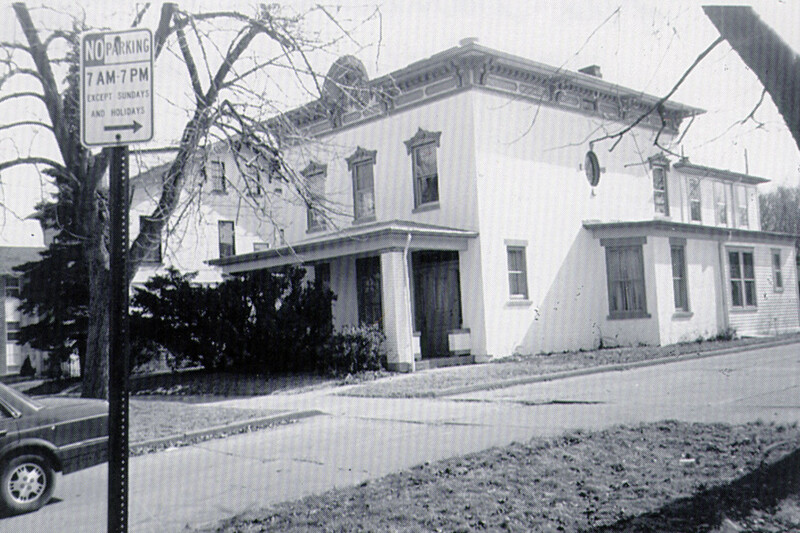 Three years later they purchased their home at 422 E. Washington Street at sheriff’s sale. George Barney was a member of the firm of Horning, Pringle and Co. and for a number of years he operated a hardware store with his son. After his son’s death in 1873 he went into partnership with Joseph Kilby. They were the proprietors of the Fulton Machine Works and Foundry located at Fulton and Water Streets. Later, Barney served as vice-president of the People’s Electric Railway and President of the Sandusky Savings Bank. Wilbur H. Siebert, who published the classic history of the Underground Railroad in Ohio listed George Barney one of the “conductors” on the Underground Railroad in the Sandusky area, and Sandusky’s best known abolitionist, Rush R. Sloane also recognized Barney’s efforts on behalf of escaped slaves. Although the Barney House may or may not have been a “station” on the Underground Railroad, there is no doubt that George Barney played a prominent role in efforts by local abolitionists to aid fugitives on their path to freedom.